In other words, it sounds like the 2019 home buyer is pickier than the 2018 home buyer, likely because of price. Per NAR, only 9.6 million new housing units were added in the past decade, well short of the apparent 15 to 16 million necessary to meet demand driven by a growing population and workforce. 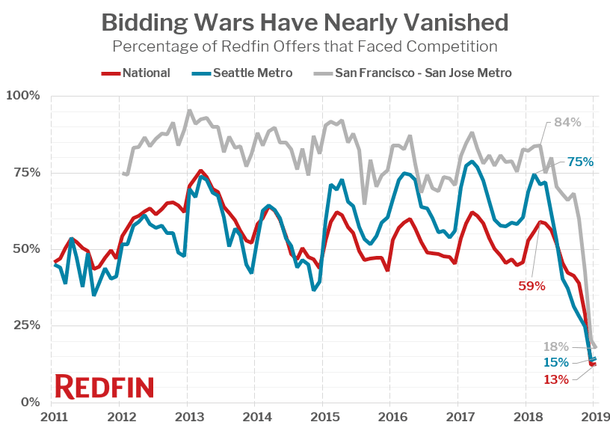 Now this isn’t to say home prices won’t cool and even flatten out in 2019. We’re kind of already seeing that. But moderating home price gains are a far, far cry from a crash, or even a downturn.